Hi everyone! My name is Chewbacca, but you can call me Chewy for short! 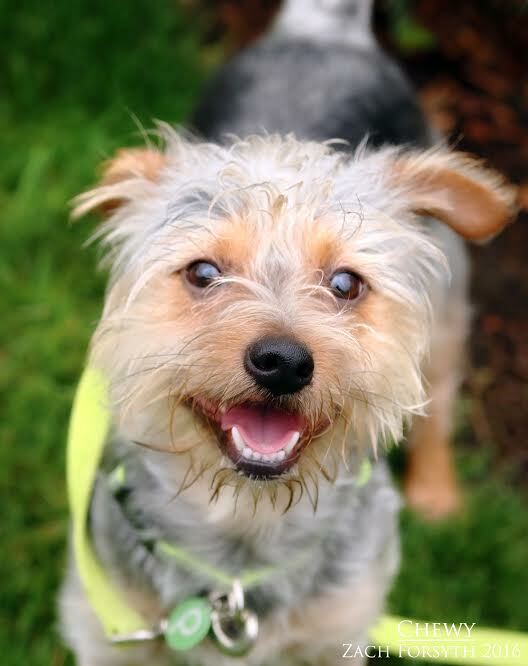 I am a 2 year old Yorkie. I was born on a pig farm in the country and thus I am a socially sensitive guy who is still trying to get used to life in the big city. I am shy at first, but with some time, patience, and a few treats, I will be your best friend in no time! Since I am socially unpolished, I need to be in a quiet low-key home with no kids. I enjoy playing with my doggy friends here at Pixie and even try and get the cats to join along too! I am just a lonely wookie, searching for my best friend Han Solo. Do you feel the force bringing us together? Then fill out an application today , so we can schedule a meet! I come to you vaccinated, micro-chipped, and neutered with an adoption fee of $250.